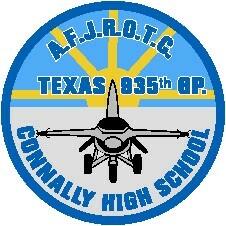 Welcome to the Air Force Junior Reserve Officers Training Corps (AFJROTC) Program at Connally High School in Waco, Texas. Our unit is dedicated to the AFJROTC Mission of "Developing Citizens of Character Dedicated to Serving their Community and Nation." Our program has been recognized as a "Distinguished Unit" 10 of the last 11 years, including being named a "Distinguished Unit with Merit" for 4 of those years, the highest rating a corps of cadets can receive. Our corps motto is "If you can dream it, you can do it, a quote by Walt Disney" a testament to the level of excellence expected of and demonstrated by our cadets.